I'm a little behind with this review...I finished reading the book and watched the film about two weeks ago! Actually, I've now finished Goblet of Fire and I'll be watching the movie tonight (Tuesday, not sure when this post will go up), so I wanted to get my thoughts on this one cleared up before I continue on. After reading Harry Potter and the Prisoner of Azkaban, I bumped my rating up to 5 stars, though I'd only given it 4 stars with my last reread. Honestly, this book is so awesome. For a while when I was younger, it was my favorite of the series, and now I remember why. This is the book where things start to get serious (or Sirius, whichever you prefer :). This is when we really start learning about Harry's parents and their friends and the whole backstory to the Voldemort situation. One huge plus in this book for me is that we get to meet Remus Lupin! He's one of my favorite characters of the series, and it was so nice to meet him again. It doesn't feel like there's enough of him, but of course he plays a bigger part later on. 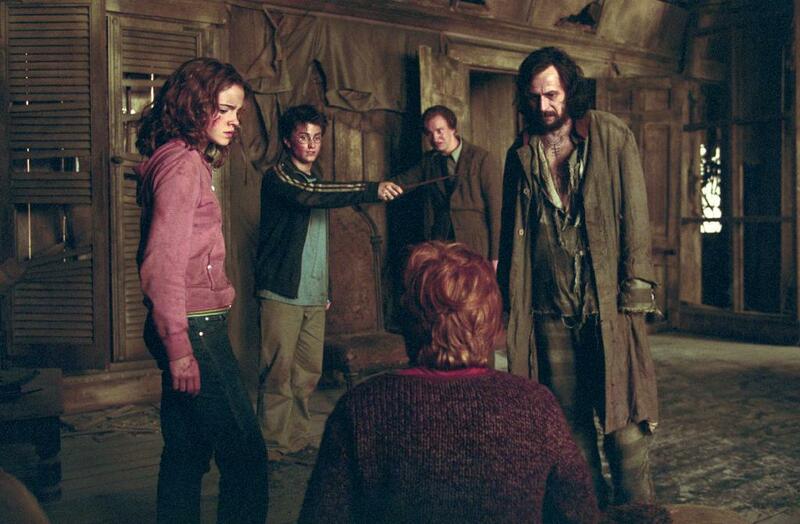 Sirius Black is great, too, but he's a bit more edgy and harsh, especially at this point. And even though she's ridiculous, I can't help but like Professor Trelawney. She provides a lot of humor. Rowling's writing is so good that I even enjoy reading about the Quidditch matches! :) This is coming from a person who cares diddly-squat about sports...and cares even less for reading about sports. Even most of the Quidditch scenes in the films make me zone out, but in the books it's somehow fascinating. I almost cried when Harry won the Quidditch Cup for Gryffindor, you guys. Seriously. The end is awesome. I appreciate that it's something besides another Voldemort encounter, while still being really suspenseful and climatic. The last few chapters are amazing and always make me tear up...I love the solution to it all (and Hermione's Time-Turner). Okay, now on to the film. The biggest thing I have to say about this adaptation is that, compared to the first two, it's quite a bit less faithful to the book. I still enjoy it, though! I wish they had included news of Sirius Black's escape in the Muggle world, too, as they did in the books. In the movie, Harry first hears about Sirius while he's on the Knight Bus. Also, pretty much every time Harry encounters a Dementor in the movie, they make it look like it's performing the Dementor's kiss on him, which is a little weird and overly dramatic. They're creepy enough as it is. I have to mention some of the casting...I had completely forgotten (or never realized) that the lady who plays Aunt Marge is Pam Ferris, who was Trunchbull in the Matilda film! She's also played in quite a few BBC productions like Little Dorrit and most recently, Call the Midwife (Sister Evangelina!). A few more little things that bug me: Lupin lets the boggart turn into a Dementor for Harry, before quickly interfering. But then he says he stopped it because he assumed it would take the form of Voldemort, which is obviously didn't. So it makes no sense when he says that! Why did they make him wait until after he saw it before he stopped it? It's so much better in the book, when he stops it before Harry even has a chance to face it. Also, I've always kind of hated it when Hermione says, "Is that really what my hair looks like from behind?" I feel like Hermione never would have said that. Even if she thought it, she wouldn't have said it aloud, especially at a time like that. 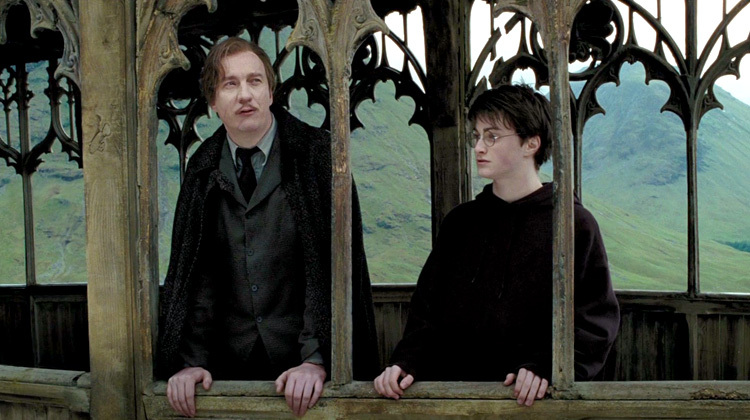 I wish they had put more emphasis on the fact that Lupin was very close friends with Harry's dad. They just sort of briefly mention it. Also, Harry doesn't get the Firebolt until the very end, and the whole Quidditch Cup part is cut out (see above, the part of the book that almost moved me to tears :). Of course I enjoy this film (I enjoy all of the films! ), but the book is so amazing that the movie just doesn't do it justice. I think I realized that more this time than I ever have before. 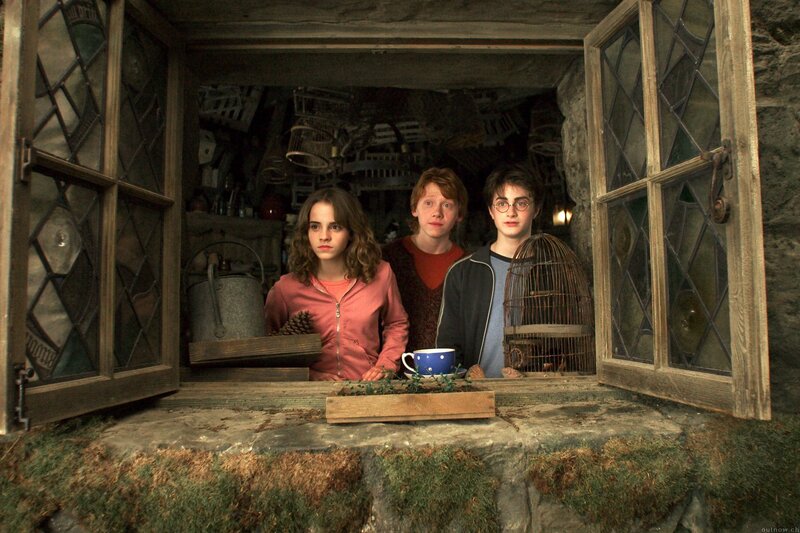 How do you feel about Harry Potter and the Prisoner of Azkaban? Who was your favorite character of the new ones that were introduced in this story? 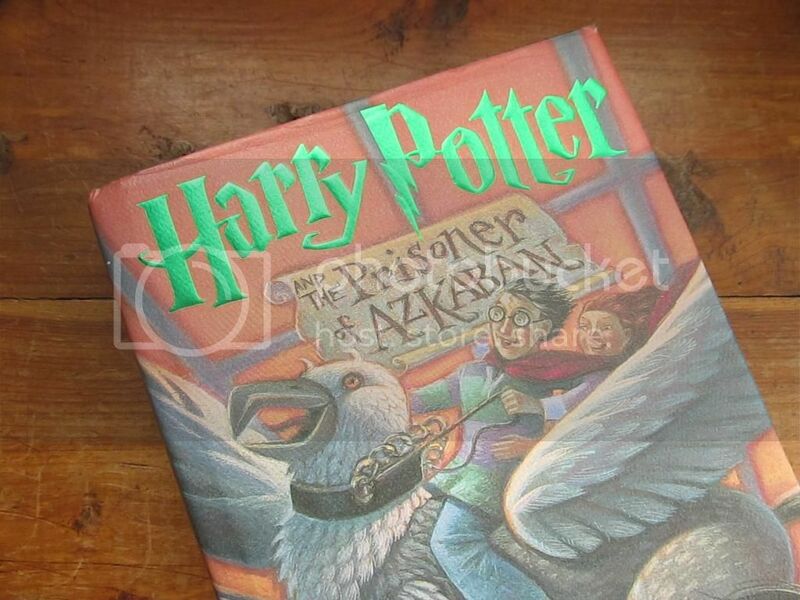 The Prisoner of Azkaban is my favorite book in the series so far. It felt like the perfect length and I definitely read it the fastest because I was so involved in the story and finding out what was going to happen. I loved meeting Remus Lupin in this one too! I already knew what was going to happen and I still had to keep reading to find out! :) Ha. That's the sign of a good author and story, I guess. Rereading them so far, PoA is probably my favorite...possibly tied with Goblet of Fire. But I generally consider the last book to be my favorite of the series, so I guess we'll see after I reread them all. Yes, Lupin is awesome. :) Sometimes the Voldemort ending gets a little repetitive, I guess, so it's nice to mix things up.